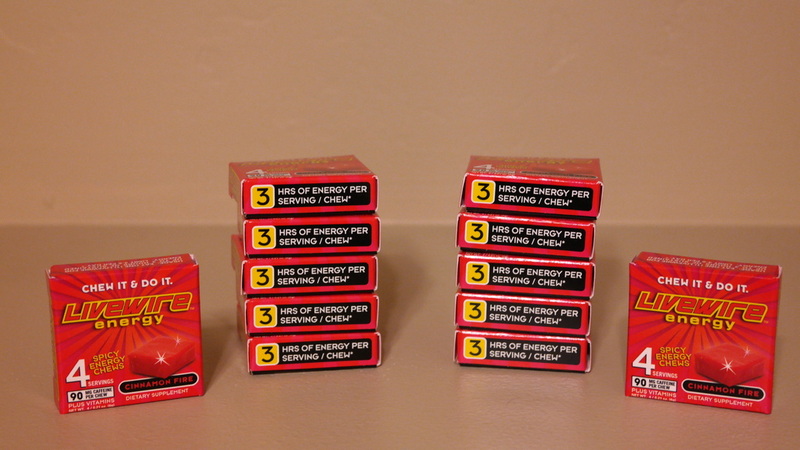 LiveWire Ergogenics LVVV Makes Livewire Energy Chews and it is a Publicly Traded Stock that I am Heavily Invested in. I really do like the Stock! However that's Not what this is all about.... This is about A Lot of what has been going on recently and what to make of it all. First off I said a "Safe:" Weed Stock Just what do I mean By that?? Well This Stock has earnings & Potential No matter what happens in the Medicinal or Legalized Weed Arena It matters None in a Negative way. I think Livewire is a Viable Business and has the Right people in Charge who have a SOLID Long term Plan that is just starting to see results. I will explain below My thoughts on all the news that has happened in the last while. Make sure and know this..... These are just My opinions and NOT anything that comes from the Company or some slick Prick in a suit that is a Broker! I don't even understand a lot of conventional things that these guys know and see. I come from hands on work, running Businesses from Concrete companies to a Café and Breakfast Place, Vitamin Companies, Car dealerships and Selling most anything You could Imagine. Lately the YouTube videos have been a way that I can let the Public know about deals like this and raise awareness on Items or Stocks I believe in. As Most of us know the Energy chews are awesome and are spreading Very Quickly across the Globe SURE Its Never Fast Enough but it is Moving right along. At the same time We have heard about the Adia Probiotics Business CEO Bill Hodson has had his Eye on for Quite sometime. 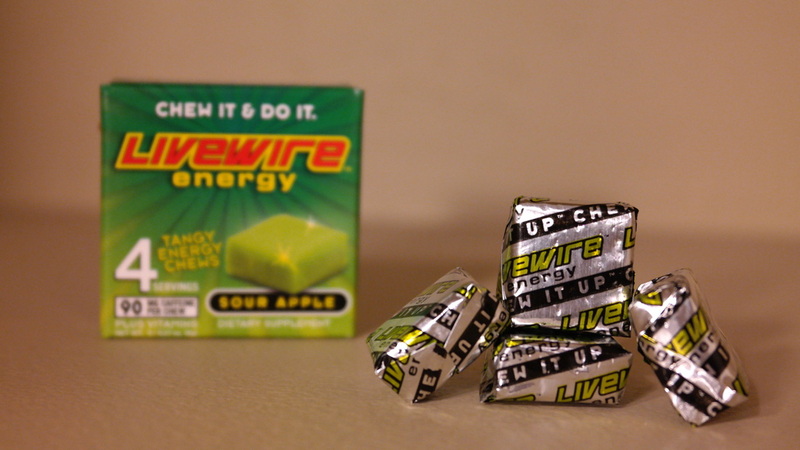 That deal seemed to be all but scrapped but then we hear that Livewire Ergogenics now owns the Manufacturing Equipment and has moved into a newer better HQ and will be Making their own Chews. Low and Behold Adia comes back into play and NOW Bill is CEO and Hang on a second we are playing Chess with the Whole Company now?? I Honestly don't know all the ins and Outs of this one But it does Spell G O O D for LVVV Shareholders I think now all of a sudden Bill runs it all. Although I do Not Understand Everything I do know that Bill did a Awesome Video on this When I went up there last week and Explained it in Full if you have Not seen it check it out if you have... Well You Should Watch Again Because there is A LOT of good information in there! No sooner had i released this Awesome Video explain the ADIA deal Bill had more news and a Public release on a NEW thing that given time could turn out to be just a amazing deal for the company on Many levels! Here is the report in case you have not seen it yet. Here is the Press Release Bill Put out on Monday. LiveWire Herbaceuticals was formed to solve the most pressing issue in the legal medical marijuana industry which is dose and consistency control. "The initial response to this technology has been overwhelming. We have our first order, and subject to legal approval, we should be in production by the end of the month. We believe that medical marijuana provides significant health benefits to consumers, and as this is adopted nationwide, we want to give consumers the ability to responsibly manage their dose. To provide precision in this product is an important key to success," said Bill Hodson, CEO of LiveWire Ergogenics, Inc. I LOVE this News I think it is Awesome but I want to also say that this news really does not matter yet and although it will help us a bit and all this WE STILL HAVE OTHE PRODUCTS. Products that Already SELL and can sell Worldwide with no legal or cost issues. I AM VERY EXCITED About these New opportunities but I don't think the market has even Valued the first part of the business yet and this year I think that we are going to see some large growth on the Livewire Energy Chews Business!! Most TRUE "Pot Stocks" have NO other Revenue LVVV is Better than this! Better You say?? YES Of Course We are Plugging along getting the word out on these Energy Chews and its Working The Probiotics are just SO Damn handy they cant help but be a hit! So I really feel that Livewire Ergogenics is on its way without CBD or THC Chews. They are a Great Opportunity I think and I accept them with Open Arms of course! This is a VERY Unique point in time where Marijuana is becoming legal again as a Medicine & as just a Freedom that Americans can enjoy! I have Long seen this Freedom in My visits to the Netherlands. and I am here to tell you what A Awesome Country! Awesome People and just the most Beautiful place you ever did see!! When I first would smell Weed walking down the street It was strange Now after 8 years of going it is a very normal thing and I almost feel like a local sitting there watching the reactions of the tourists as they Realize... OMG there is WEED in there!!!! LOL It is Quite the site to see. I Export Classic Cars and the Netherlands Was My largest Customer Base till they BANNED Classic cars just last year! Point is I have seen this first hand and i think that integration will happen sooner than later as other states get on Board with both Medicinal and Recreational Marijuana. This will be have a AMAZING Impact on the Economy! The Tax is HUGE and this gives a rather large incentive for States to get on board! as this happens this Chew will be more and more Profitable and our Market can Expand State by State! See Below for a Comparison and also We have a AWEOSME Product that SELLS!!! In the recent days a lot off people have asked me how this compares to Weed Stocks. If You Follow My Channel Much You know that I Really Bought A lot of Marijuana Stocks EARLY on. Now with LVVV Dipping their toes in the pool It is interesting how it all played out for My Stock Gambles account. So now there is HEMP, FITX, PHOT, CBIS, MJNA and many more that have just SHOT up in value. this is Great but in this time we need to do some Due Diligence and Figure out who can make some money at this game and who is just acting the part. With LVVV we have known a long time that what we have is a delivery method and this is a VERY Unique way to prove just that. In the end out biggest account could come from ANY sort of product. LVVV is making Chews what do you want in yours'???? LVVV Is had a good Business here that has a Solid Product with LiveWire Energy Chews and there was Goals to get new Products in the Probiotics through Adia Nutrition. Well Bill took over Manufacturing and got the Machines and now ADIA came to us. Pretty Damn cool! In case you missed it in the video we also Inherited a Dry Powder Product. Being in The Vitamin Business I think that one is possibly even much bigger than the chew for the Probiotics product due to the amount of dosage delivery needed. It is Exciting to see the Company take on the Adia Brands it does just seem like a Match made in Heaven! A CBD Chew is a No Brainer once the price of the CBD comes Down a bit Anyone who is in the Know will know that CBD is Not Cheap Due to it not being legal to grow HEMP in America. These are Interesting times and the new HEMP Crop is Coming. THC is Coming YES THC It is inevitable that this happens The Product has not even been legal long enough to grow the first crop and we are VERY Pre Launch in the whole THC thing. This is a VERY Lucrative area I think and Long gone are the days of Pot Brownies and Fatty Cookies in Lieu of these Low Calorie Chews NOT Processed with Heat. That is one thing that makes this a Great delivery method for THC CBD and Other things like this is the fact that it is cold processed and will not affect the Power of the Ingredient. Which is Awesome! Low Outstanding shares and HIGH CEO Ownership from the Founder. This Protects us and insulates us from Unwarranted Share Dilution I believe. The Ability to put just about ANYTHING in a Chew and market it Worldwide! COMPARE to LVVV??? No I don't think so I can try 20 ways 40 ways but the Reality is even though this is one of the closest out there I don't see it being "Like" LVVV I know that if I would of had as much in this as I do in livewire last month I would be a Millionaire many times over. As it is I have 325,000 shares picked up between .011 and .018 for the most part and Made a BUNDLE on this one so far. HEMP is run by Bruce Perlowin Infamous to say the least. What makes him Unattractive to Wall Street makes Him VERY Attractive to invest in when it comes to Hemp and Marijuana I think. Big Business will no doubt get on board with the Farm bill and Hemp I mean its legal now. Hemp will make money MANY ways they have their fingers in Retail Products Digital Media Websites and some Very Valuable Web Assets! Ok all that said LVVV or HEMP which is Better?? I really dug deep since Monday and I cant say that either Company is better so to speak its a Apples and Oranges thing one thing I would like to point out is that HEMP is up 3x as much as LVVV at this time. Granted these are different Circumstances etc. If one is to factor in the THC and CBD Connection that Valuation is not even Figured in yet to be honest and soon there will be a Shortage of shares on LVVV people KNOW this is a Longer term play and are holding this Stock. HEMP offers a Once in a Lifetime opportunity and the 325,000 shares I bought I sure wish has another Zero on that number it was possible and ill tell you what I will not be stuck like that on LVVV I am Buying share and holding with or without the THC connection I think we have us a Live one here! I have people who see my Videos where i bought both LVVV and HEMP around the same price .015 cents a share and they ask Should I buy or Should I sell now??? I have no clue and Cannot tell you that! I would hate for you to lose your money and I would hate for you to miss out on a profit you cant be safe both ways. All I can say is this... I am Not selling! That's it.. Your choice is yours to make and I wish you the best in it!! Who am I Why make this? My name is Nathan Wratislaw I do A Lot of things and you can find links all over this site taking you to other Websites I run. One of the Main Things I do is Make Videos on YouTube Daily. I don't miss a day Everyday I produce 1 to 3 Videos and Every Sunday I do a livesteam Broadcast for My Subscribers and Even Give away Prizes. This YouTube channel has Been a Awesome way for me to meet people Worldwide. Here is a Link to my Channel make sure and Subscribe I do A LOT of Livewire and other Stock Videos. Well Cars are part of me and always will be You will see them on My channel more and more as Spring rolls around. I Invest in Metal BIG TIME! Right Now I am Thinning down the Herd BIG TIME..LOL I have over 200 Cars down from 280 and I do NOT want this many any more any I am sick of dealing with SO MUCH. Other than that I love cars! I have Manufactured and Marketed Herbal Supplements Since it became Legal back in 1994 when it became legal in the DSHEA act. With the New Delivery System offered by LiveWire Ergogenics I see SO Much Opportunity! I have put together a Few Website where I now Sell LiveWire Energy as well and I will be rolling out more ways I can Sell and Promote Livewire across all of my websites. Livewire is NOT a Overnight Play! Really Some stocks are get in get out hope you did the right thing. I don't look at livewire like this. LVVV and Bob Hodson and the team at Livewire are 100% behind this company and it is Obvious by how much Stock the Own and are not selling. Compare the Outstanding Shares the float and all of this and You will see this company is in pretty darn good shape and Moving Forward! The Products are AWESOME and its easy to see why they have MASS Appeal! Livewire has Nothing to hide! WOW and its just the Start! THIS IS A DELIVERY METHOD THAT IS AWESOME!! My dad will not swallow a Advil... Well ANYTHING Could be Delivered Via these Chews and We are well On our way to new Horizons thats for SURE!! Below you will see A Lot more information that you may or may not know about Livewire Energy. This is a Company that I believe in And Like their Products. I want all to read this article to not question that YES I do own stick and I think that YOU should Research and Invest in this Stock Now while you can get Lots of shares at a CHEAP Price! In the end do NOT invest your rent money and go broke over ANY Investment it is always Smart to.... Well Be Smart!! Invest only what you can afford and Spread the Love get it out there a bit not all in 1 basket ya know. I enjoy Many Stocks and they all may pull for me different times! Meet the "Chew Crew" at LiveWire Energy. Here is a Video I made on one of My Visits to the Livewire Ergogenics HQ and Bill Introduced me and You to everyone! THANK YOU Bill, Ed, Kate and everyone at LiveWire for being so friendly and opening up and showing us your passion and answering our questions via livestream etc. AWESOME Company and it shows in every way! You can Distribute LiveWire Energy! One of the most AWESOME things here with Livewire that could just Catapult Your Earnings is the fact that now with the Lower Minimums on Shots Energy You can Make a Profit on a Low investment or just Save Money over Energy Drinks. Either way this Option is going to add to the Bottom Line of LiveWire Ergogenics and I do know I am getting orders on the site so new clients are rolling in and will show up down the road as they get on board! YOU SHOULD TOO!! Every Stock Holder should Be a Distributor That's all there is to it!! Its CHEAP it's EASY and it's Quick and Painless and you can see a CASH return On your investment the second you open the package!! There is a link below and Just Imagine if even Half of the Investors became Distributors!!!! Seriously Guys quit playing games with sample packs and do something to promote this product Give away a distributorship if you cant work. I am Getting Cigar Shops, Gas Stations, Candle Parties You name it. This is a AWESOME Opportunity! 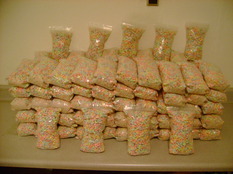 you will LOVE having this Product around at wholesale. Distributing LiveWire Energy is Profitable! VERY Unique product that is Fun to try on Everything for the whole Family. These Crunchy Dehydrated Marshmallows are a whole Lot of fun in a Small package. I Post My Stock Buys on this Website click Below to see my 14 month Portfolio. it Is not 100% Current But I try and keep up on it. CBD is Basically Hemp Oil and NOT a Product that should cost Much money at all. Right now due to laws it is VERY Expensive and It was all Imported... Until Now!! I have other Stocks I own in this Field and one of them Id Bruce Perlowin's Other Company he started Medicinal Marijuana MJNA Ticker. They make Real Scientific Hemp Oil and here is a Link you will see just what it costs and I little bit about it. Well this is the good part it is no Different than making the chews we make now! Then FDA has No Authority over CBD THC or any other Dietary Supplement. These are By Definition a Dietary Supplement and Herbal Product so are easily added to the line! That's what the man said! 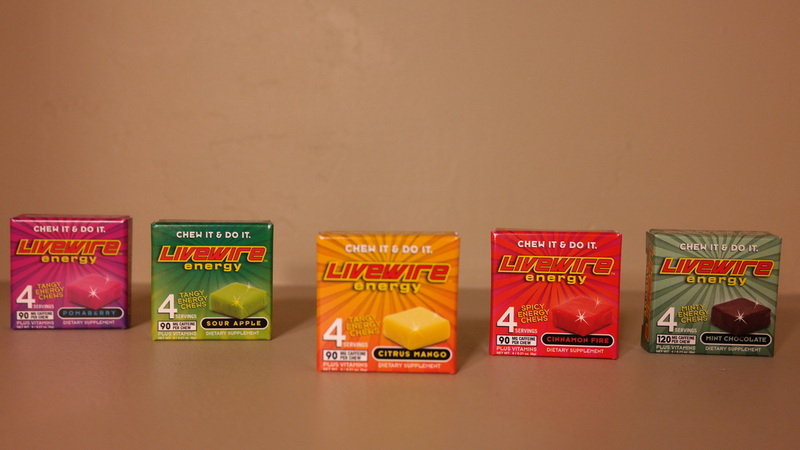 I don't see it being LIVEWIRE WEED CHEWS?? So this seems to point is towards Private Labe which in My Business is where things really took off!! Really I mean What's Next?? HUGE Investor Following and New accounts signing Regularly! Great Product in a HUGE Market Great Vertical Integration for SURE! Should bring us Large Established Clients as well! Legal EVERYWHERE Used as Medicine and HUGE Possibilities as the HEMP production in the USA comes into play LATE in this year! Who knows this is turning into Quite the company and I understand this from the Many Business I run Do it ALL Don't leave Money on the Table! Not enough people know about it yet! Lots of room for Improvement! No USA Hemp Production makes CBD HIGH in Cost for the Avg user it is just too Expensive Until we have our own HEMP here in the USA. In My 20 years in the Business I don't see ANY Negatives to this addition just hidden value!! I am sure there will be some sort of hurdle at some point. Get the Word out! Become a Distributor Yourself at Shots Energy and BUILD your Nework! Awaiting news Could even Be in house product we sell WHO KNOWS?? Get our products made who knows we may even see New Products! Well that's a Awful lot to think about and absorb. This is why this is a Great company as well No Fluff No BS PUMPS or any of that when Bill has News Bill Delivers NEWS and he does it in Bunches Like Grapes!!!! Seriously There has been Lot's of planning and work that has gone into this you can plainly see and it is refreshing to have someone so involved with their company like this... Just wait till people notice that this penny stock is actually working and people are here moving product!!! There is A LOT more to do and I believe it is important not to get impatient and expect everything yesterday or anything like that. EVERYTHING takes time and right now we have a lot to contend with. Not only what the company had on it's plate but now these new products although a steal for us from the sound of it. They will require Money put in to get them alive and Kicking again! This funding must come from somewhere and will not be a Overnight thing. We must make or attract the money somehow and as it all comes together and happens I think stockholders will be sitting on a Awfully nice little company here! You can even distribute the product and help Grow the Bottom line Yourself Visit Shots Energy and find out more! Here is a CBD Gum Made By MJNA and you will notice Cost is a Issue here for sure. This will come down with the New Farm Bill!! That's what it's all about whether its You Me or the Company! What I like is I see Vertical Integration here and it looks to me like Bill is working towards some sort of a master plan and I see this Powder Probiotics and New THC CBD and Private Label Business and this is something that could open a door we need opened and do not even know it yet! LVVV Shares and Shareholder Dilution VS Value. There are SO Many Penny Stocks out there and Most of them are not worth the time of day in My opinion. LiveWire Ergogenics is Different and They really stand out from the crowd. I have had a few Subscribers ask me why there is more shares out now than last year. and I want to address this. As you saw this year the number of shares outstanding crept up. This is VERY needed in any startup company at these Early Stages and its sometimes the only means of Financing day to day operations. The Stock in essence is a Currency. What is important to Note here is almost half of the outstanding shares are locked in with people who are company officers and VERY into the Advancement of LVVV. ANY Dilution of the stock hurts them more than it hurts us and I do not feel that there will be any worry about that. This said I do feel that we will see this number increase in the future. Most companies that are this small have HUNDREDS of Millions of shares they can issue and Livewire is VERY tight on shares. Really If you look at the Volume of a few others you will see what I mean. SO what tomorrow Who knows I know this with this CBD and THC announcement. It Puts us out there so people will hear what we offer. Livewire now will offer this service and I am sure that even more orders may come in to boot Who KNOWS who wants a product like this especially when the Main ingredient will fall by a Mind blowing amount in the next 8 to 18 months!! We are in a VERY Exciting time and I am Ready for whats next!! Here is a Interview with Bill Hodson From Early Jan. This was Awesome to be able to do and The fact that the company is so Honest And Open is such a nice Fresh thing to see. It is part of why I am so sold on the Company as a Whole! Yes I said Alcohol. This is still a big thing it shows the pulse of the nation a bit and I think shows that people are more open to Recreational "Helpers" Really Weed Worse than Whisky?? I dunno that's a hard sell. Visit the link below to see this link. I make Daily Videos on YouTube and come up with some pictures and things I show online Please make sure and Add me from the links below. I enjoy Meeting people who are in it to win it and I have met some AWESOME People on this Journey!